In the 1970s, the Saleh family (mother, Cecelia, and sons Sam, Joe, Mounir and DeGaulle) left war-torn Lebanon for a better life and the opportunities that the United States could provide. They searched around the Raleigh, N.C., area, but could find nothing resembling the bread they gathered around the table to eat at home. 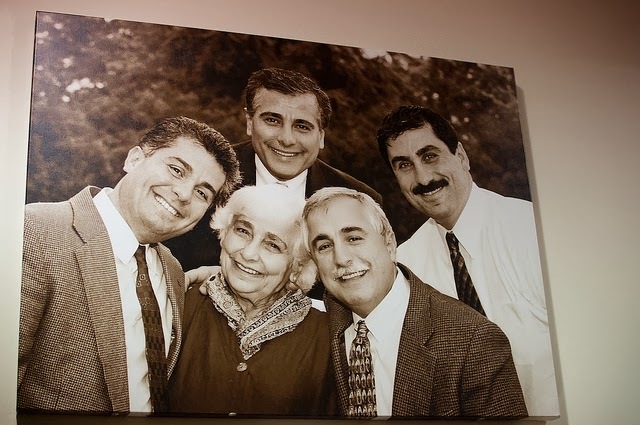 So, with a converted pizza oven, a rental space in a strip mall, help from an uncle, and a pita recipe that had been passed down through generations, Neomonde Baking Company was born. The bakery’s deliveries began in one brother’s Ford Mustang, before the group upgraded to an old mail truck. For years, the business grew, adding wholesale clients and restaurants as customers. Then, in 1989, the opportunity to expand even further presented itself in the form of additional building space right next to the bakery on Beryl Road—a space that has become very familiar to Raleigh natives and those spending any time near North Carolina State’s campus—where the Salehs added a deli case packed with Cecelia’s recipes, using fresh and authentic ingredients. “We did it just to grow together as a family and to show people how to eat the food with the bread,” Mounir says. With the family’s focus on quality and authenticity, and Cecilia’s motto, “If you don’t eat it, you don’t feed it,” Neomonde’s business still continued to grow. A dining area, outdoor seating, and retail grocery space were all added to meet the requests of the customers. In 2000, Neomonde had grown popular enough to relocate the bakery to a larger facility and additional cafe in Morrisville. 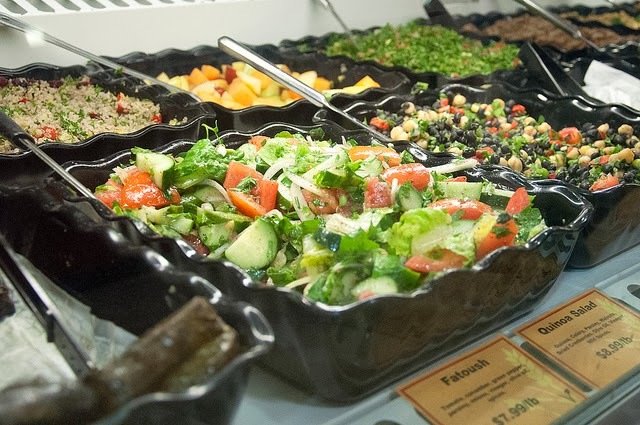 Daughters and sons had grown into the business, and by 2011, Mounir opened Neomonde North, just three short miles from Springmoor’s campus. Springmoor Life Care Retirement Community residents willing to give it a try will recognize Mediterranean classics like hummus, stuffed grape leaves, falafel, baba ghanoush (creamy roasted eggplant with tahini and spices); mujadara (lentils, rice and sweet caramelized onions); fattoush (tomato, cucumber, green peppers, onions, parsley, olive oil and pita croutons); and tabouli (fresh chopped parsley salad). The restaurants also serve up trendy items like kale salad, chicken salad and quinoa—all prepared with a Neomonde flair. Be sure to pick up a little something sweet from the pastry case and some hot pita to sop it all up. The Mediterranean diet has been proven to have significant health benefits, so grab a fork and dig in! Find out more about Springmoor Life Care Retirement Community by checking out our website, and finding us on Facebook. ← New Year, New Plants!